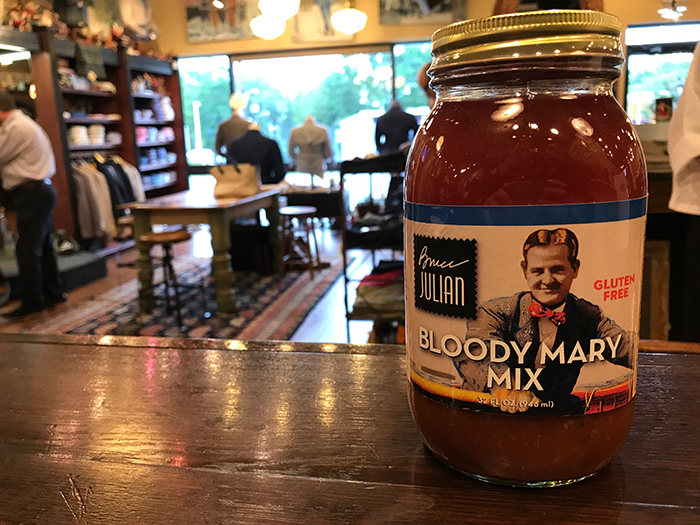 After doing a roundup of some of the most over-the-top Bloody Marys in Charlotte, my inbox was inundated with readers that were desperate for me to know that if I haven’t had a Bloody Mary from Bruce Julian Clothier, I haven’t come close to having the best in Charlotte. 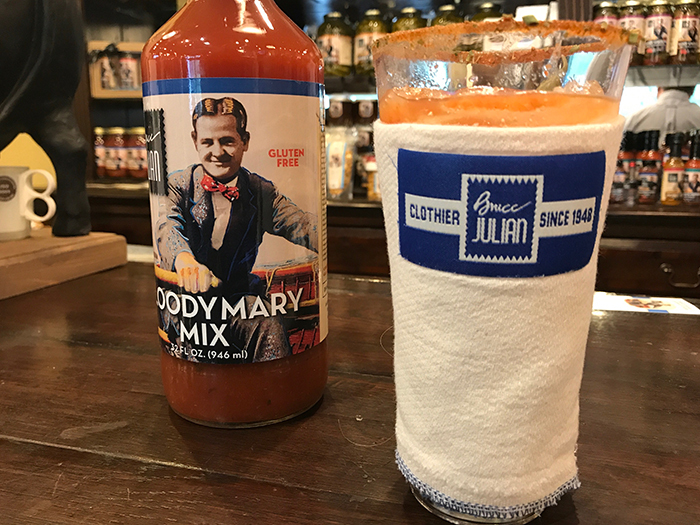 I don’t normally drink during the week, but on a Monday at 9:30 a.m., I found myself, Bloody Mary in hand, toasting to the day with Bruce himself, his wife Bonnie and their business partner, Paul, at the tiny bar in the back corner of the eclectic store on Selwyn. 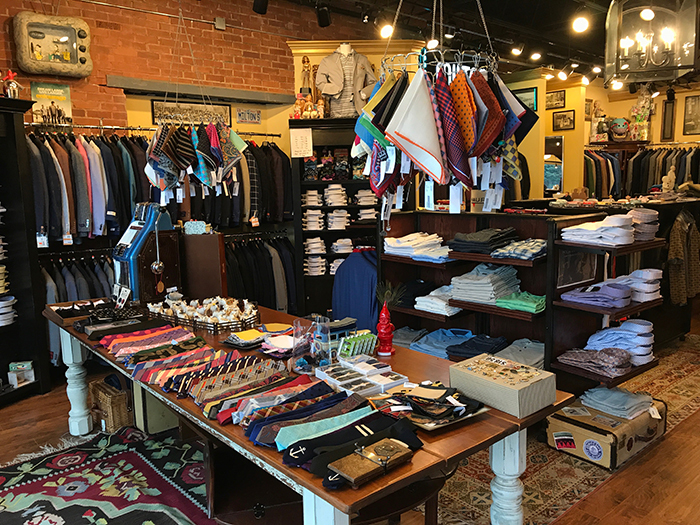 The shop, originally named Miltons for and founded by Bruce’s father, was founded in 1948 in Chapel Hill before it moved to Charlotte, where it continued to offer high-end suits at affordable prices. 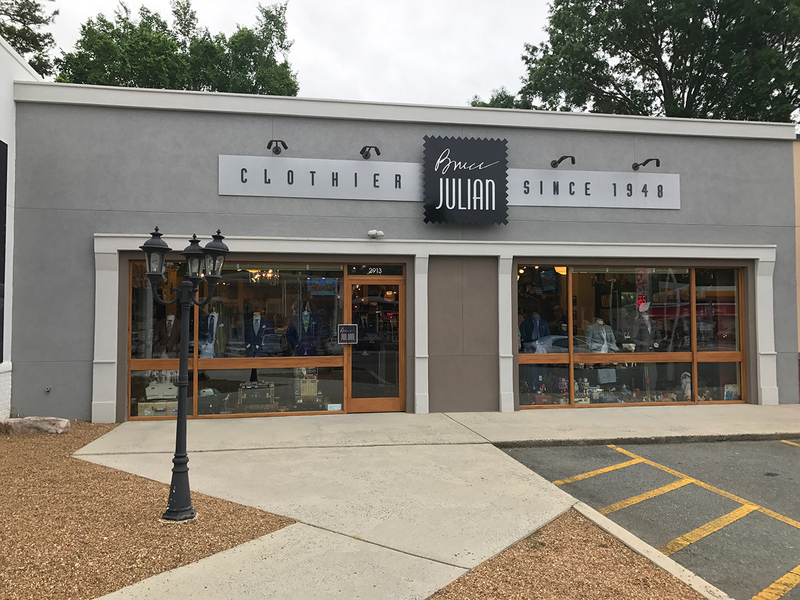 When he took over the business in 1977, Bruce began creating an experience for his customers in the late eighties: As they shopped and got fitted, they had a homemade Bloody Mary. As for nailing the recipe, it wasn’t exactly the worst type of work. It evolved into a recipe filled to the brim with all-natural ingredients. You won’t find things like high fructose corn syrup or MSG in the product, and it’s naturally sweetened using agave nectar, orange and mango juice. As for heat, you won’t find that either, as he thinks that it tends to overpower the drink’s core flavor. At the time, Bonnie was traveling to and from New York City, where she worked in the textile industry. Every time she was visiting, they said, Bruce was up, bottling and packing his mix, which was and still is found in mason jars, in his kitchen by 5 a.m. It just clicked, they said, that to not commercialize it was to miss out on a huge opportunity. The first commercial bottling happened in May of 2014, and the result was “horribly disastrous.” The formula was perfected in August of the same year through careful observations and minor tweaks and is now sold in over 800 locations in 25 states, the most remarkable being Balthazar in New York City. Their saleswoman, who’s known as “Killer,” had other plans and walked right in on a Monday morning during month five. The stars have to align for something like this, Bonnie believes, and they did just that – the manager, bartender and chef happened to all be there. 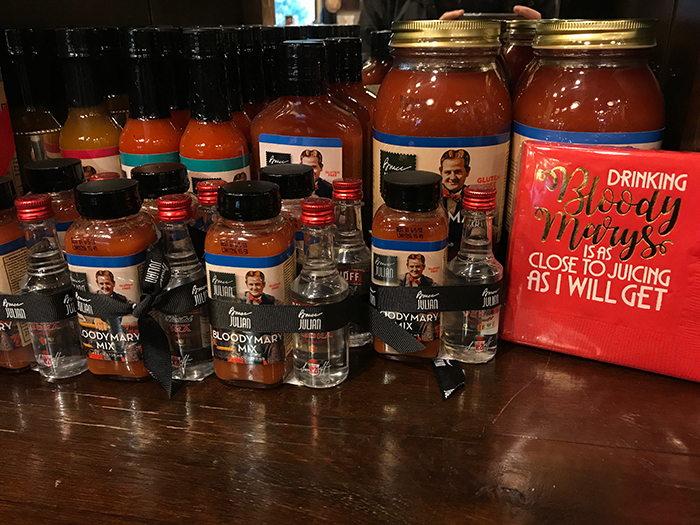 The restaurant dropped their supplier of ten years and order 40 gallons of Bruce’s product on the spot. 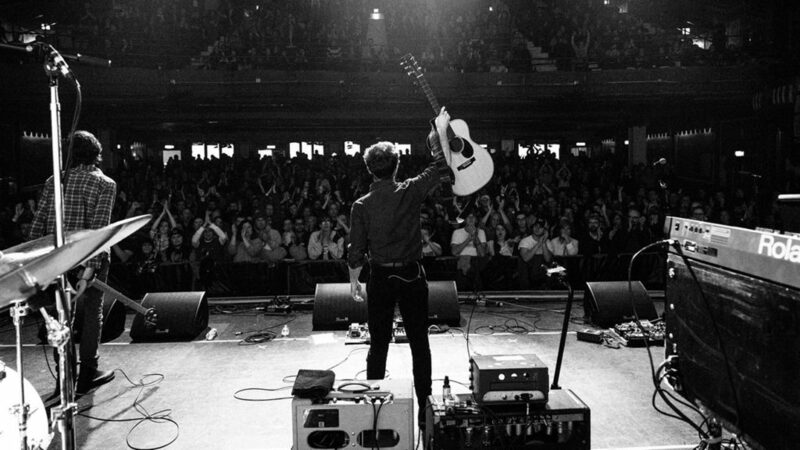 If you live in Charlotte, you’ve most likely come face-to-face with Bruce’s mix. 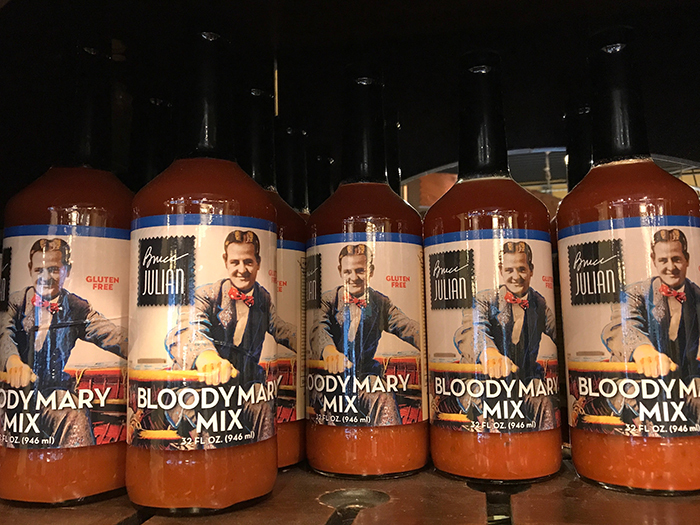 It’s sold at Publix, Harris Teeter, both Reid’s Fine Foods locations, Total Wine’s Ballantyne location (they’ll be rolled out into all Total Wine locations soon) and is coming soon to Kroger and Earthfare. Moreover, it’s served at restaurants like Kid Cashew, Dressler’s and anywhere that offers a Bloody Mary bar during brunch. The Summit Room even created an evening cocktail called the Caprese using Bruce’s mix, pairing it with a mozzarella ball and muddled basil. Today, the business has expanded to sell more than just mix. 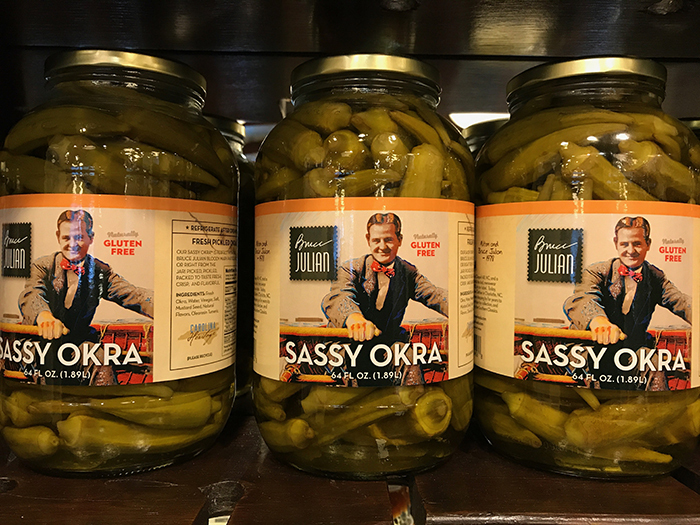 They’ve got an entire array of complements like Picante Pepper hot sauce, Sassy Sprouts and Okra and a Classic Rimmer (which, in order to get a bit with each sip, I worked my way around the glass for – it’s that good). But the Julians didn’t want just a Bloody Mary business. 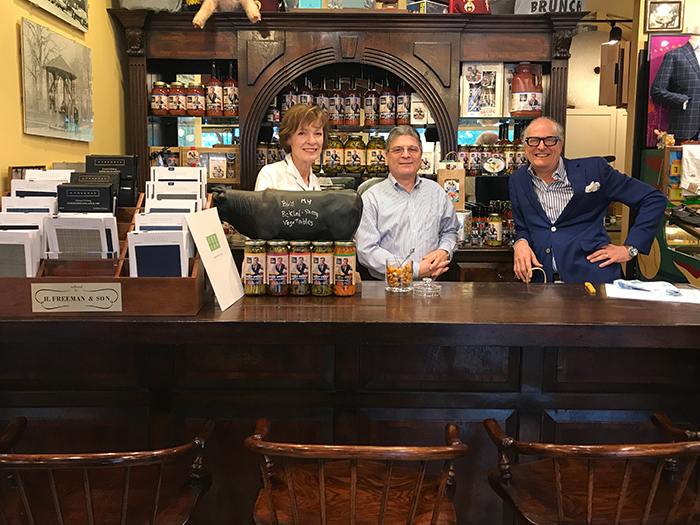 They wanted a business that encapsulated the entire idea of southern heritage food. 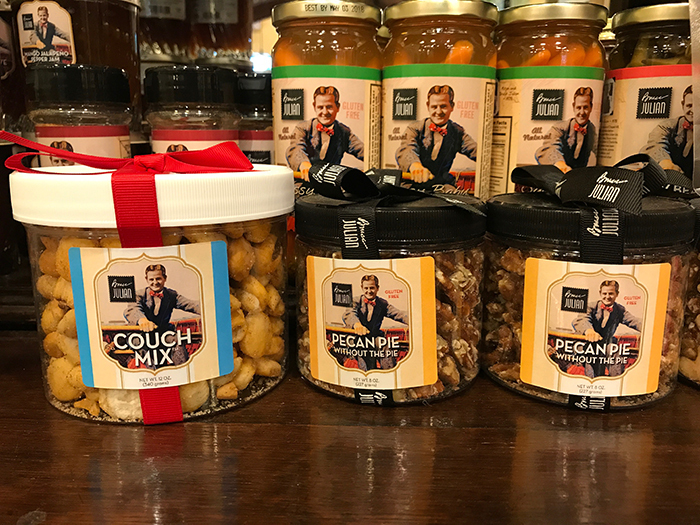 “Everything is regional,” Bonnie said of their collection, which is made up of offerings like gourmet preserves, sugar cured ham, Couch Mix and Pecan Pie without the Pie. As for price point, the mix falls into the upper tier at $8-9 per quart at retail price. 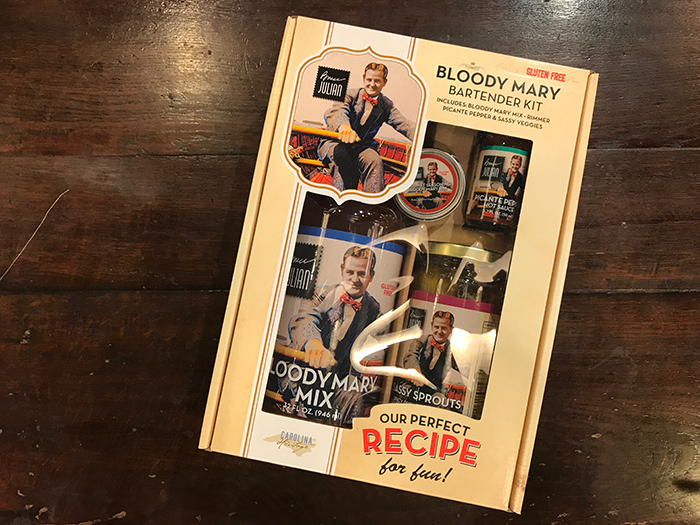 They also offer goods such as gift and recipe sets à la Blue Apron, which can cost as much as $25. The packaging is what completes it. It’s Bruce’s dad, Milton, on the label. He died at 97, but lived a full life, delivering suits to customers until his death. As for what he knows? It’s probably got to do with how much you’re going to enjoy what’s inside the jar. Monday – Saturday, 10 a.m. to 7 p.m.